Our only casualty so far has been my beloved hair dryer. : ( We switched it over to 220 V and used my converter, but alas it still did not survive. (I should have paid more attention in Bishop Hylton’s Physics class.) 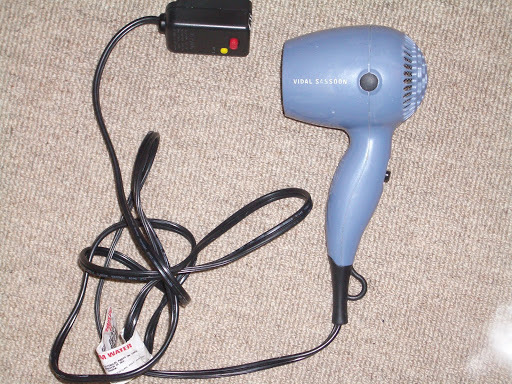 Since it was the only hair dryer for an apartment of four girls, it will be sorely missed. We held a garbage can-side service. May it rest in peace.